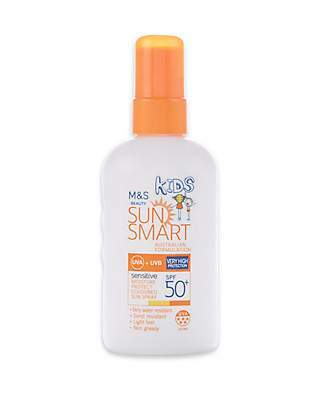 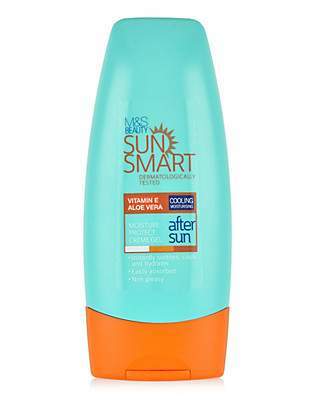 Always use the Sun Smart range at M&S for my kids sun care protection, went to stock up for the mini heat wave we're expecting & found that they have 30% Off ALL of the range with Free Delivery to store. 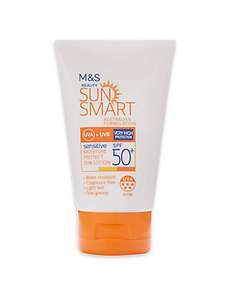 I tend to buy a couple of the Travel Size Sensitive Moisture Protect Sun Lotion SPF50+ 50ml for them to take to school in their bags - these are normally £5 but are now £3.50 each & the larger 200ml version that is normally £10.50 is currently £7.35 but they have lots of other SPF / types to choose from. The whole range has excellent reviews too & can thoroughly recommend the Sensitive products, I use them & my youngest has even more sensitive skin than I do & they are fine for her.